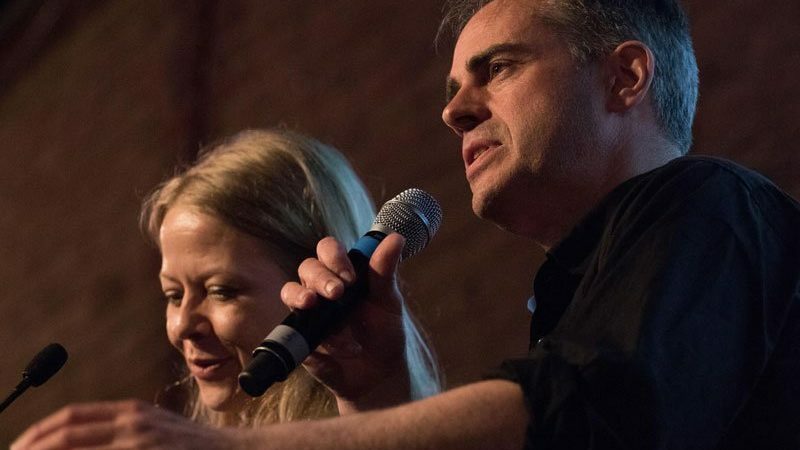 After being elected co-leader of the Greens, Jonathan Bartley reflects on his party's legacy in leading the fight and how together with Sian Berry he will go even further. When it comes to Brexit, we in the Green Party have had our heads in our hands for some time now. With no end to the infighting gripping the government in sight, and promises being broken at a breakneck pace, it’s hard to pick up a newspaper without feeling hopeless. Which is why the picture of Boris Johnson, Peter Bone and Jacob Rees-Mogg in a synchronised facepalm at a no-deal Brexit meeting last week came as no surprise. In fact it’s a wonder it’s taken the chief Brexiteers this long to get caught slipping into despair. The government’s recent commitment to end live animal exports – a barbaric practice that should outrage us all – became the latest pledge to the public sacrificed on the altar of Brexit. The u-turn came just two weeks after the true risk of a no-deal Brexit became clear with the publishing of government guidance on how the country should cope with a no-deal Brexit. Meanwhile the Prime Minister is still chasing a deal Brussels has dismissed. With each breach of trust, and as the true facts emerge, public support for a People’s Vote on the final deal grows – and pressure mounts on the leader of the so-called official opposition to throw his weight behind the campaign to return democracy to the people. In the Green Party, democracy is at the heart of who we are and how we work. From our belief in harnessing people’s expertise in their own lives through the devolution of powers, to the fact that members propose and choose our policies, we hold firm to the knowledge that no one has the monopoly on wisdom – and that there is power in working together. So while we will always campaign with those who believe we are stronger in Europe, we are also clear that we will never form part of a centrist blob as some have suggested. The last thing Britain needs is a return to the vapid centrism of the past – or the launch of a momentum for moderates. Old school politics failed to face the challenges of our times and disillusioned a generation of voters in the process. We are living through one of the most critical times of our political lives – both inside and outside the Green Party. We are not just the only party ready to oppose the government’s disastrous Brexit, but we are the only ones who can be trusted to put forward the bold policies needed to face the challenges which fuelled the toxic rhetoric of the referendum – and its result. Up and down the country people are crying out for politics with passion, and politicians who are brave enough to stand up for what they believe in. That is why as the new leaders of the Green Party we are working to build a fiercer Green resistance than ever before. From the brave tree defenders in Sheffield to the anti-frackers in Lancashire, Green councillors everywhere are leading a political revolt against the status quo. We are working to give every community a strong, independent voice of resistance with a Green on every council, as we build towards becoming the third political party in Britain. For years we have shown how the Greens as an insurgent force for good can change the political agenda. Just this week the unions backed our call for a four day working week, a bright Green idea which could harness the rise of automation and the changing work of work to give people more time with their families, in their communities, doing what makes them happy. And this isn’t the first Green idea to go mainstream. Over the summer the shadow chancellor John McDonnell committed to putting a pilot for a Universal Basic Income in Labour’s next manifesto. Where Greens lead, others follow – and we won’t stop there. Because although you wouldn’t believe it from newspaper front pages, Brexit isn’t the only challenge on the horizon. Whether it’s saying no to the government’s obsession with big infrastructure projects which will lock us into climate breakdown, or pushing for bold policies like a four day week, the Green Party will always put forward the radical new ideas needed to build a future people can hope for.